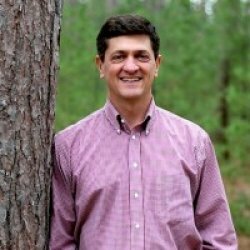 A&B Forestry | American Forest Management Inc. Approximately 2,623 acres in Rumford that includes: Whitecap, South Twin & Black Mts. Also 283 acres in Mexico, for a total 2,900 +/- tax acres. Part of the land is an active Sugarbush with 2,300 taps, 15 miles of line & produced around 33,000 gal of sap. Access varies from improved road frontage to ROW’s for logging only. There are several locations with impressive views. Elevations reach over 2,300‘on Black Mt, 2,156’on S. Twin & 2,000‘on Whitecap.Largest contiguous lot is about 1,500 acres & smallest about 275 acres. Several points of entry off of Routes 2, 120, East Andover Road, Coburn Brook Road, Horseshoe Valley Road, Black Mountain Tower Road, Isthmus Road and Beliveau Road. Hi, I'm interested in the A&B Forestry in Oxford County, ME, and I'd like more information. Can you help?